Extreme sports might sound like something far too daunting and dangerous for you to try, but now that more and more people are having a go, it’s never been safer. Plus, whatever you decide to do, they’re all an amazing experience to tick off, and you might find that the sport you try out becomes your new favorite! When you’ve chosen the sport you want to try, do plenty of research into where you can go and who best to do it with. Your instructor or operator will be key in influencing how much you enjoy yourself. Remember that price isn’t everything: often certain places will be cheaper for a reason, so it’s a good idea to spend some time saving up so that you can pick the best place possible – regardless of price. 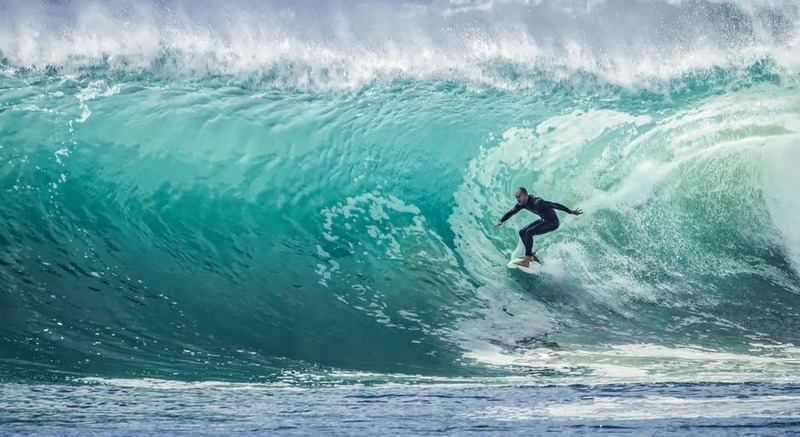 From kite surfing to jet surf, there’s plenty of ways to make this extreme sport even more adrenaline-filled. Jet surfing sees you take on a motorized board, pushing your speeds and your bravery. Plus, you can do it on lakes too – you don’t need to be in the sea. Kite surfing combines wake boarding, gymnastics and surfing: you’ll be towed along the beach by a huge, powerful kite, using a specially designed board to keep up. As long as you don’t mind heights, narrow spaces and deep water, then pick one of these two activities. Cave diving is an incredible experience, where you’ll be able to explore the depths of long forgotten caves. You’ll have the chance to see beautiful scenery and marvel at the power of the ocean. Descending into these underwater plunge pools is terrifying and mesmerizing in equal amounts. Or, if you prefer staying above ground, give canyoning a go. You’ll essentially be trekking through rivers, abseiling down waterfalls, and rock climbing, to make your way across mountains and canyons. Throwing yourself out of a plane is, without a doubt, the ultimate adrenaline rush. Choose your location wisely, and prepare yourself for the leap. Plus, it’s something that you can sit back and enjoy – you’ll be doing tandem jumps with an experienced instructor, so you can let them take over the scary stuff. If that’s slightly too extreme, then try paragliding. Again, you’ll be paired up with an instructor, so you won’t be left entirely to your own devices. You’ll be able to see some incredible scenery, and if you’re brave enough, you’ll be able to do all sorts of tricks in the air. Now, white water rafting can be as tame or as wild as you want. There are many facilities that mirror natural rapids, but let you enjoy the experience in a controlled setting. So, these are good if you want to try it out before jumping straight into real rapids. Once you get into the swing of things, you’ll be able to try it out on the real rivers. Not only is it incredibly fun, but you’ll get to enjoy some gorgeous views – if you’ve got time to look anyway!